Sara Netanyahu, Israeli Prime Minister Benjamin Netanyahu's wife, is charged with fraud and breach of trust over having ordering some $100,000 worth of food to be catered from pricey restaurants. Prosecutors say she had the government pick up the tab — and falsely claimed there wasn't a cook at the residence. 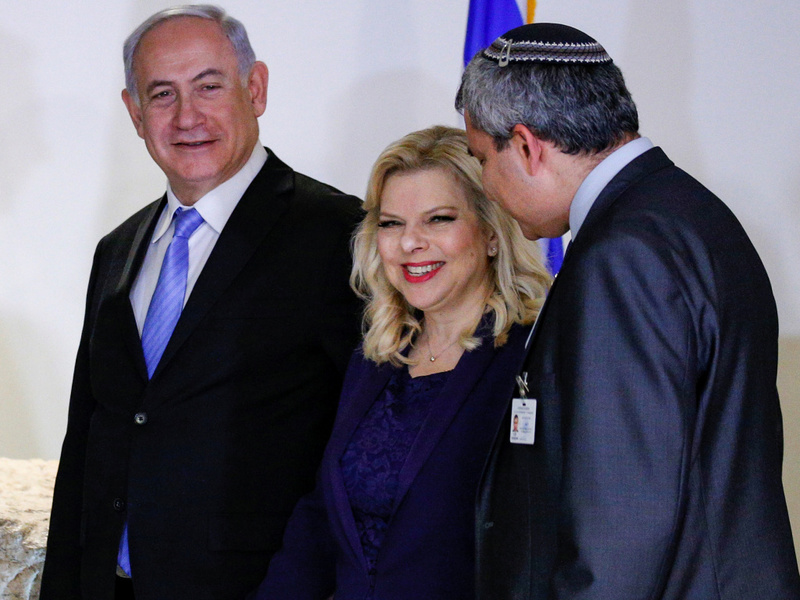 Sara Netanyahu was indicted and accused of "systematic fraud," Haaretz reports, including allegations that she knew about rules against ordering food when a cook was on staff and that she tried to hide a cook's employment to cover up her actions. Now the prime minister's wife faces a trial. Israel's Ynet News says that the attorney general's office is seeking a three-judge panel to hold the trial, because of "the defendant's public position."